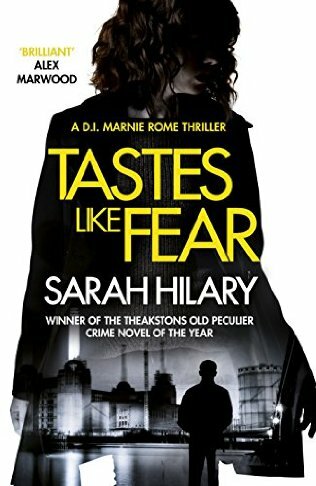 Tastes Like Fear is the third book in the excellent DI Marnie Rome series and it held me in its vice like grip from start to finish. Sarah Hilary goes from strength to strength in this series with realistic gritty storylines and complex, engaging characters. In her latest book she takes on the topic of the homeless, specifically homeless young teens striving to survive in the harsh and grimy underbelly of London. These kids are missing, both literally and metaphorically as most of society manage to ignore their plight. However, it’s hard to ignore them when they are forced into the public eye, but when it is too late, when they’ve been murdered. Although this works as a standalone novel, I would recommend reading the previous two books in the series beforehand as you will have a greater appreciation of the development of the main characters and their back stories especially Marnie’s relationship with her stepbrother Stephen and also the background of her sidekick DS Noah Tate and his brother Sol. This is a pacy, compelling thriller with equal focus on complex characterisation and a plot line which will keep you guessing until the bitter end. Highly recommended. Tastes Like Fear is published by Headline in the UK and the US on 7th April 2016. My thanks to Netgalley, Headline and Sarah Hilary for allowing me to read and review an ARC.